© Image by Apple, Inc.
OS X Mountain Lion has hit the shelves on the Mac App Store and it’s off to a very good start. So where are the updates for Yoink, ScreenFloat and flickery? For all of my apps, I’ve submitted updates to the App Store at the beginning of July but they’re still “In Review” or worse, “Waiting for Review”. 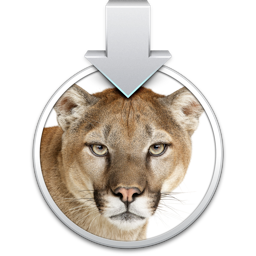 Here’s the run down of what’s working or not working on OS X Mountain Lion. Yoink works perfectly fine in the currently available version (2.1.1). The upcoming update is a bugfix and minor feature release. Nothing really changed for Yoink in OS X Mountain Lion that would break the app. ScreenFloat has some minor issues. It works well, but you’ll notice that the “Launch ScreenFloat at Login” checkbox in the preferences is enabled although it shouldn’t be and will crash the app when clicked. Another issue is with running ScreenFloat with the Dock icon enabled. Floating shots will not follow you to fullscreen apps or spaces. I’m currently looking into that. In the meantime, you can disable the Dock icon and it will work. flickery is the most troubling. Not because of OS X Mountain Lion (some minor issues aside – like, the “Nearby” search doesn’t show up – it works well). The troubling part is that flickr is shutting down their flickrAuth authorization mechanism by July 31st. Yes, that’s very soon and there’s no update out yet for flickery. I’ve requested an expedited review by Apple for it and I hope they grant it. If they don’t (and still, if they do, there’s a chance), it might take longer than July 31st for Apple to review the app. What that means is that authorizing flickery to work with your flickr account will not be possible. Also, although flickr doesn’t explicitly state this, it’s inferred that anything done over the flickr API with an old authorization token (an authorization token is what an app receives from flickr when the user authorizes the app to work with their flickr account) will not work anymore. So browsing, uploading, really anything you can do with flickery, will not work. Please be aware that the upcoming update does include the new OAuth authorization and will make flickery work again with flickr. Until it is reviewed and released by Apple on the App Store, please have a little patience. I know it’s not ideal, but at this point, I’ve done all I can do. aside from some minor issues with ScreenFloat and flickery, everything basically works on OS X Mountain Lion. For these issues, updates are currently “In Review” or “Waiting for Review” by Apple and should be released soon. As for flickery, I’ve requested an expedited review and I urge you one more time to consider having a little patience 🙂 Trust me – it troubles me more than anyone.